Samsung has finally launched the much anticipated Galaxy Note 8 in India, and we would also like to remind you that today is the day Apple will be unveiling its next iPhones the iPhone 8, iPhone 8 Plus and the iPhone X. 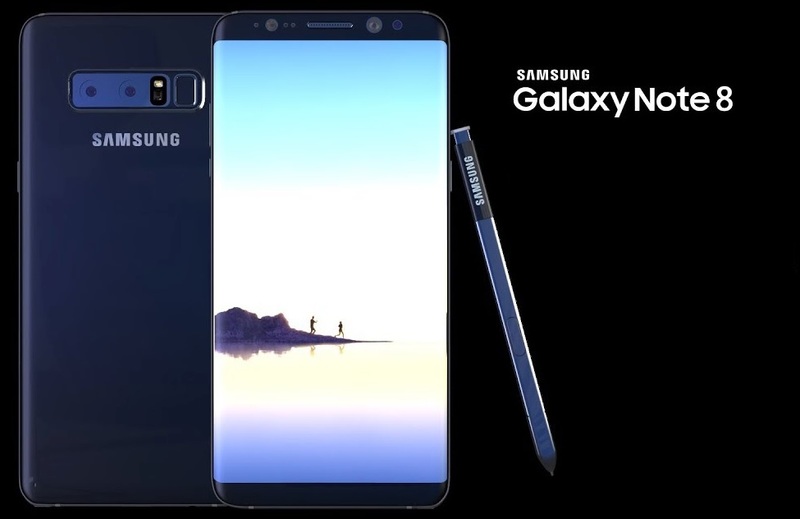 The Galaxy Note 8 sports the largest screen Samsung has ever given on a Galaxy Note handset, featuring a huge 6.3-inch Infinity Display with 18.5:9 aspect ratio with a pixel density of 521ppi. Notably, the default resolution of the smartphone is FHD+, and can be changed to QHD+ via settings and S Pen support. Another big highlight of the Galaxy Note 8 is its dual rear camera setup. It comes with dual-SIM (Nano-SIM) support and it runs Android 7.1.1 Nougat with the company’s own customizations on top. The Galaxy Note 8 is powered by a Samsung Exynos 8895 SoC (four cores clocked at 2.3GHz and four cores clocked at 1.7GHz) coupled with 6GB of LPDDR4 RAM. On the camera front, the Samsung Galaxy Note 8 sports dual rear camera setup, with Dual OIS (optical image stabilisation). The first one is 12-megapixel sensor coupled with a wide-angle lens, Dual Pixel autofocus, an f/1.7 aperture, and optical image stabilisation. The second sensor is also a 12-megapixel paired with a telephoto lens, an f/2.4 aperture, and optical image stabilisation. On the front, the Galaxy Note 8 feature an 8-megapixel autofocus camera with an aperture of f/1.7. The Indian variant of the Galaxy Note 8 comes with 64GB of internal storage also expandable via microSD card(up to 256GB) in a hybrid dual-SIM configuration. Connectivity options on the smartphone include 4G VoLTE (LTE Cat. 16), dual-band (2.4GHz and 5GHz) Wi-Fi 802.11ac, Bluetooth v5.0, GPS/ A-GPS, NFC, MST, 3.5mm headphone jack, and USB Type-C. Sensors on board the Samsung Galaxy Note 8 an accelerometer, ambient light sensor, barometer, digital compass, gyroscope, heart rate sensor, iris sensor, proximity sensor, and RGB light sensor. The Galaxy Note 8 has been priced in India at Rs. 67,900, and it will be available in its Maple Gold and Midnight Black colour variants. The smartphone is now available for pre-bookings in India and will start shipping from September 21. Early buyers will also get a free wireless charger bundled with the smartphone, as well as a one-time screen replacement.